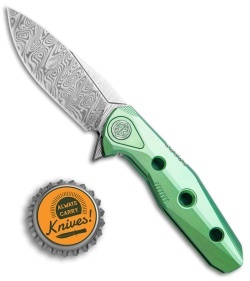 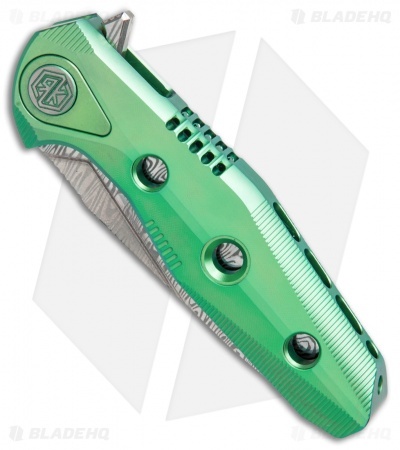 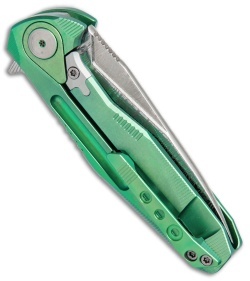 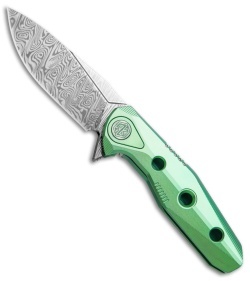 This Thor4s model has a green anodized titanium handle and a Damasteel blade. 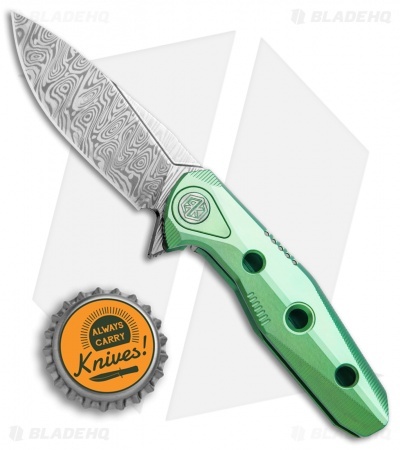 The Rike Knife Thor4s offers lightweight skeletonized titanium construction in a one-piece integral handle design, but on a much smaller scale than previous Thor models. 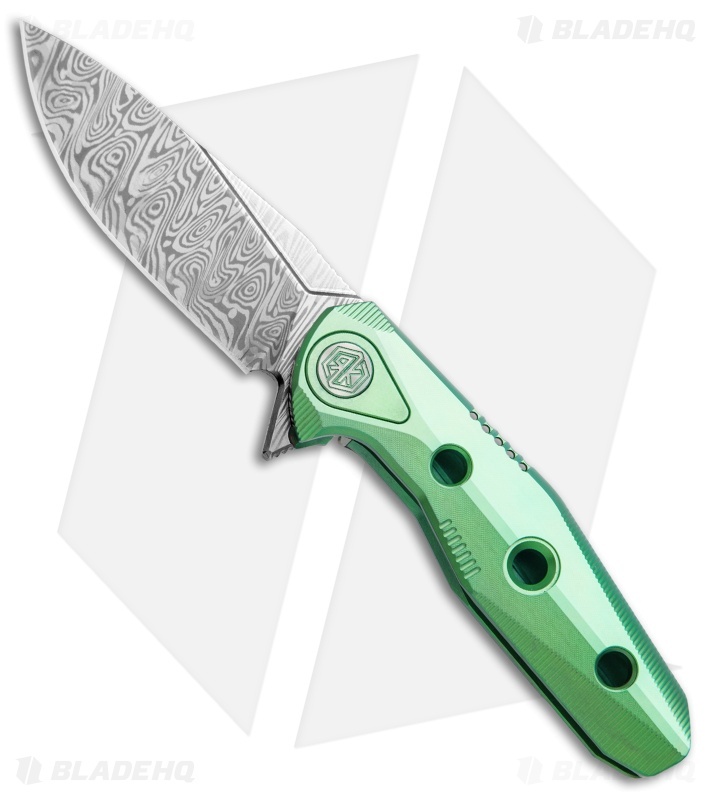 This ultra compact folder features a practical drop point blade made from polished Damascus steel with jimping on the spine and flipper for added blade control and responsive action. The integral handle sports textured edges and cutouts, and provides a comfortable grip despite its small size.